December 7th saw the release of "Future", Inner City's first entirely original material for a decade. Anyone with even a passing interest in dance music will be aware of their legacy, with tracks such as "Good Life", "Big Fun" and "Pennies from Heaven" among the most celebrated tracks ever written. 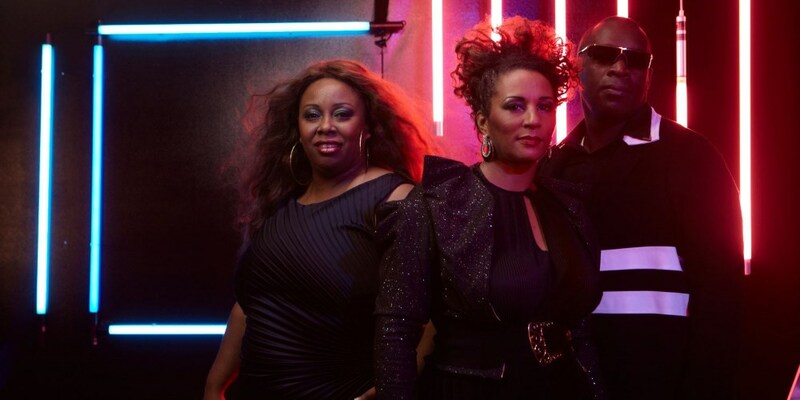 Comprising of techno legend Kevin Saunderson and singer/songwriters Paris Grey and Ann Saunderson, Inner City's "Future", has been written and produced in collaboration with another Detroit legend, namely Kenny Larkin, with additional production duties provided by the very talented producer/remixer Orlando Voorn. Devastatingly catchy and highly emotional, it exhibits all the soulful flavours and qualities you would expect from these celebrated producers and singers. It has been close to a decade since you last put out an original Inner City record. What have you been doing in the time that has passed? Kevin: We have not released a lot we have been with our families, we all have kids now and just been taking a break. We had a big run over the years with what we have produced. It was about time to sit back, take care of our families and other parts of life. I have done some other things too, I have been DJ’ing. Ann has been writing, singing with plenty of other projects, touring and taking care of our babies. Which are the other projects that you have been working with in the past time? Ann: Going back 10 years I’ve worked on ‘Blackwater’ and ‘Artic Wall’. I have worked with Defected parties “Connected” and taking care of my kids. So it’s not like Inner city never really went away anywhere? Kevin: Yes the voices are here and the writing creativity is here. Sometimes with creativity you don’t push it, you don’t force it you just let it happen when it’s meant to be. When time allows it you just feel that inspiration, I guess that the creativity is the back then. Its autumn/winter 2011, I believe this is the new embarkation, the new chapter of Inner City. What is the philosophy behind your plan? Why are you back now? Kevin: Our philosophy why we want to come back now is simple, we love music. We are creative people we think that there is a void in music. I play all around the world and you don’t hear as many songs on the dance floor. We know that we had a great impact we believe that we can offer that again, inspire some people and we are re-inspired. With the new track for the future, some people are saying that it seems slightly autobiographical with the lyrics can you tell us a little bit about it? How it came together and what it’s all about? Ann: Paris and I got together Kevin had sent us some music. It was basically us feeling the music. We were all going through different things at the time, we were thinking of the economic situation and different things that are going on in the world today. We wanted to address that and we always use our lyrics in order to so. That’s why we decided to talk about what was going on. The title of the track is very forward looking is there any relevance to a retrospective aspect down to it or is it totally something new? Or is it forward looking rather than back looking? Paris: We want to go forward, it’s basically what we learned that we have taken from that and are taking it forward, in to the future just like the song says. Over the last 18 months or so, there has been a surging popularity of tracks which looked back onto what you were saying, taking the old school sound bringing it up to date. Is that something that you have noticed or is it a factor in the time you are coming back too now? Do you think that your sound is becoming even more relevant today? Paris: I’ve always known Kevin as being more forwarding ahead. What he takes from the past is usually something growing from his own experience and his own creativity. Imbibing those elements whit what he thinks is missing and puts out a new sound. I guess Kevin can speak for himself of how much of an influence the past has had on your music writing. Kevin: I think the past with different artists, there’s definitely a lot of young artists that are taking old songs like our songs or other songs. They are either looping them sampling them at the end influenced by them and putting them back out now. I am conscious of it because I DJ all over the world and several of my records were done that way. I am definitely aware of it I believe they are looking for something. They don’t know how to find it within themselves, so they go back because those times were some great moments and it’s always easier to back. Because if you keep going back then nobody might not even have a chance to know what those songs were all about, its’ in that age and within that generation. It’s like then the new word out there goes “did you hear that new sound”. However, it’s just a loop that has been modified and updated most of the time it sounds good. That’s the way younger producers have done it, it’s when you get a sound in one record and it becomes a hit, then other producers start doing same then it becomes some kind of trend. We have been around since the beginning of this music evolution therefore, for us creating the energy and these new tracks its still us, we are from the past but we are also in the future. In terms of the writing between you, obviously Kevin does a lot of the production and you guys contribute lyrically and the song writing. Does one come before the other or does it happen at the same time? Paris: It always starts with Kevin creating some sort of beat, rhythm and idea. Then he gives it to us to take it too the direction we want to take it. After that he comes back in, it’s back and forth. There have been a few tracks from the past where we requested a clip track from Kevin, then suggested him a melody and lyrics asking what he could do with it. But mostly Kevin knows where the music is at, more than I say myself. I trust him as far of the direction of the music. Touching on the seminal records that you have been involved with, that a lot of people knows you for as “Big Fun” and “Good Life”. They are some of the most enduring tracks in House music. Why do you think that those amongst others have endured so well and are so well recognized in the House scene now? Because a lot of tracks from that era were lost sadly as it sounds. However, these have not been at all, why do you think they resonate with people today? Kevin: I think our music in the way it’s written in the melodies, its very hooky they are spiritually connected and they make people feel really good. It touches them from the inside. Paris: They always came from a good place when they were written. I just remember being in a good mood listening to Kevin’s tracks when the lyrics and the melody came. It was not like a forced thing or a struggle, I was walking to the mall when “Pennies from Heaven” came to me and I was in my room dancing when “Big fun” came to me. At that time I just felt good when I heard the songs, what I felt is what other people feel when they hear the songs today. I believe that’s why it lasted for so long. How about your plans at the moment? Do you have a tour as it is a large and significant part of a musician’s income as there are not enough earnings in actually releasing a track these days? Is that a plan for next year is that something you are going to be doing more? Kevin: Touring definitely, we went out on tour just a couple of years ago just to get a tease and to slow down my mind. Performed for big and small audiences, I still enjoy it. The time is now therefore, that’s definitely something that will be a part of our plans. In terms of your live setups specifically what is it? You guys are singing and doing other things as performing. Kevin: With live sets it works in multiple ways it can work as well as in Ann and Paris just performing vocally a straight up PA. It can also work with me having my drum machines, using Ableton, my little computer setup controlling it with a percussion player. It can also work with two key boards and another percussionist it can be up to 8 people. We have done it in various ways the last two years usually when we do the big tunes with all the musicians in the U.S.A. We hope to bring some of that over here in the future. A final thing that I would like to ask all of you is what the track means to you? Ann: Hopefully it means that Inner City is going to be around for a long term into the future. That we have written a song that everybody can relate to something that everybody has gone through someway and somehow. I think that means so much because it is so real. Kevin: It doesn’t matter if it’s good or bad, anything that happened in the past, find a way to move forward keep a positive attitude on life and things will be better if you do. Paris: What the future means to me is touring and I like the idea of getting to meet the people that like Inner City’s music, when we go out to photo shoots, perform and interviews. I like meeting the people that support us, it is probably one of the most fun things for me it always has been and it will always be all the way in to the future, see you all.